On 1st July 1957, Tamil Nadu Electricity Board came into being and has remained the energy provider and distributor all these years. 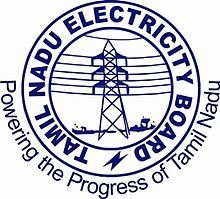 After 53 years of journey the Tamil Nadu Electricity Board was restructured as per G.O.114 dated 08.10.2008 by establishing a holding company with the name "TNEB Ltd" and two subsidiary companies namely "Tamil Nadu Transmission Corporation Ltd.,"(TANTRANSCO) and "Tamil Nadu Generation and Distribution Corporation Ltd.," (TANGEDCO) as per the mandatory requirements of the Electricity Act 2003. Accordingly TNEB Ltd., was formed on 01.11.2010. Integrated training programme on HV & LV Heat shrinkable Power Cable Jointing & End Termination for outsiders on chargeable basis. While every care has been taken to ensure the accuracy of information furnished in this website, TNEB Ltd. does not accept any responsibility or liability for any damage or loss caused to any person as a result of any action taken on the basis of this information. However, TNEB Ltd. shall be obliged if errors / omissions are brought to its notice for carrying out corrections in the next update.